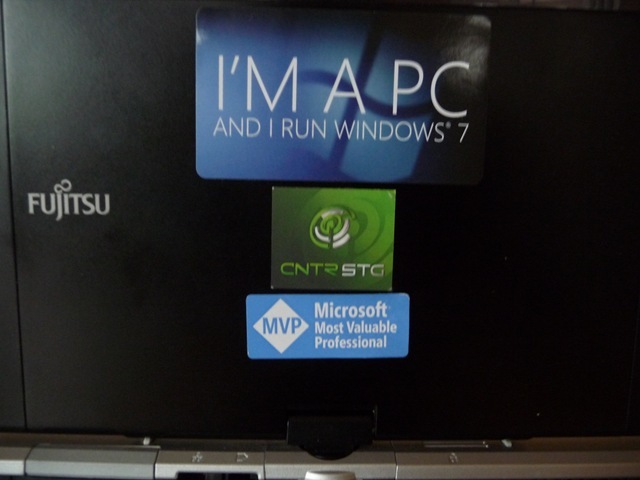 I am currently on my way to NYC and while I am here I will be attending some Windows 7 Launch events. If you are not in NYC you can still watch the Launch Party with Steve Ballmer live here. I will also be attending the Engadget Show where the folks at Engadget will be interviewing Steve B at the Times Building in NYC. They will also be live blogging the event as well in typical Engadget fashion. I will also be doing some meet ups with various bloggers and friends that are in the Big Apple and will report back when I can what I see here as well as via Twitter. Tomorrow I will head to some stores with some other bloggers and see how consumers are liking Windows 7 as well as how retailers are selling it. We may even do some demos of our own! If you are in the area and want to stop by I will be tweeting our location. Brandon LeBlanc has also posted some great news on some great bundles that are available. The best one looks to be the 3 computer bundle from Best Buy for $1199. Best Buy Bundle: HP Laptop, Desktop PC with monitor, Netbook, wireless router and set-up by Geek Squad for $1,199. For the price of one average Mac, you can outfit your entire family with 3 great Windows 7 PCs and a home network! Also check out this HD video of Brian and Stewie from Family Guy called Windows 7 is Here [HD]. I will be twittering too. You can follow me @fyiguy This looks to be one busy day and I can’t wait to see and share all the new hardware from partner OEMs geared for Windows 7. The Windows team has introduced the Microsoft Touch Pack for Windows 7 for multi-touch enabled computers. The application is not available for public download but will be available to OEMs who will have the option to pre-install these applications on PCs designed for Windows Touch. 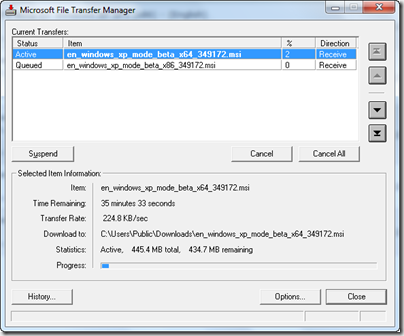 After general availability of Windows 7, it may even be released for public download. However, if you want to get your hands on the touch capabilities of Windows 7 now without waiting to download this pack, you can take advantage of multi-touch capabilities in in-built applications such as Paint, IE8 and Windows Media Center. If you were at CntrStg at CES 2009 you got a chance to interact with many of the applications below as well as some that aren’t listed, those too may be included in some OEM products. PhotoHunt by MegaTouch Gametime was a popular party game where you have a certain amount of time to choose what is different between two pictures the quicker you find things the more time you have and if you choose the wrong items the less time you have. Microsoft Surface Globe uses the Virtual Earth 3D engine to display a 3D view of the world. Using multi-touch, you can navigate to different regions, get local information, and “pin” your favorite locations. You can even “fly” around 3D models of buildings in some cities. Microsoft Surface Collage allows you to take your favorite digital photos and arrange and resize them using only your fingertips. Once you have your photos in an arrangement you like, it’s simple to save your collage and make it your desktop background. Microsoft Surface Lagoon is a screensaver that recreates the natural environment of water and schooling fish. You can run your fingers through the “water” and hold your finger down and watch the fish gather around. Microsoft Blackboard is a game in which you create a nifty machine on a virtual blackboard. You can then use gestures to rotate and resize gears, fans, see-saws and more to move balloons and balls toward the light bulbs - and victory. If you were a fan of TIM you will love this! Microsoft Rebound, developed by Fuel Games (lets you use your fingers to propel a ball like air hockey. Microsoft Garden Pond allows you to guide your origami creations to peaceful areas on the pond or direct them with gestures to complete goals that have been set for you. Gently move the origami by making ripples in the water. Paint: The latest version of Paint has new brushes that are designed for multi-touch, you can click on the Brushes gallery, pick any one and try finger painting. Internet Explorer 8: IE 8 features multi-touch panning; you can place your finger anywhere on a page and drag up or down to scroll the page. You can also go back and forward between pages with your finger using Flicks. Task Bar: You can also use touch to navigate along the taskbar. The new Jump Lists on the taskbar are touch optimized, instead of right-clicking on one of the icons on the taskbar, you can drag up on it with your finger to open the menu. Windows Media Center: Windows Media center also allows you to navigate using touch capabilities. Moreover, programs which are “touch unaware” also have some level of touch control. For example, if someone tries touch scrolling over a window that is touch unaware, Windows can detect the presence of various types of scrollbars and scroll them. If you want more information on the Microsoft Touch Pack for Windows 7 Rob Bushway has a video over at GottaBeMobile worth checking out as well. Windows 7 Release Candidate is Now Available! Well its finally here Windows 7 RC for the masses, if you want the latest Windows 7 Release Candidate build, you can now sign up for your beta kit.You will be required to register in order to download the RC. This is where you will also be provided with a Product Key to activate your copy. This is pre-release software, so please read the following to get an idea of the risks and key things you need to know before you try the RC. You don't need to rush to get the RC. The RC will be available at least through July 2009 and we're not limiting the number of product keys, so you have plenty of time. Protect your PC and data. Be sure to back up your data and please don't test the RC on your primary home or business PC. Tech details/updates: Before installing the RC, please read the Release Notes and Things to Know for important information about the release. Keep up with the news. You can keep up with general technical information and news by following the team blog. And, you can get non-technical news, tips, and offers by subscribing to the monthly Exploring Windows newsletter. 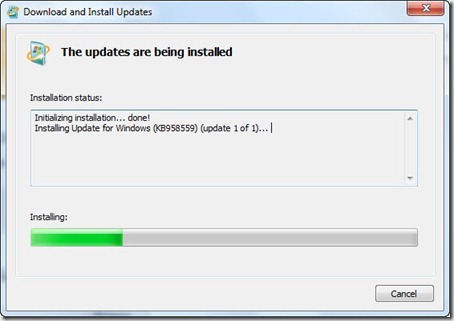 Keep your PC updated: Be sure to turn on automatic updates in Windows Update in case we publish updates for the RC. Installation: You can install the Windows 7 RC on a PC running Windows Vista without backing up the PC—but we encourage you to make a backup for safe keeping. If you’re running Windows XP or the Windows 7 Beta, you’ll need to backup your data, then do a clean installation of the RC, then reinstall your applications and restore your data. If you need to do a backup, please see How to back up your PC for more details and a suggestion for how to backup a PC running Windows 7 Beta or Windows Vista. 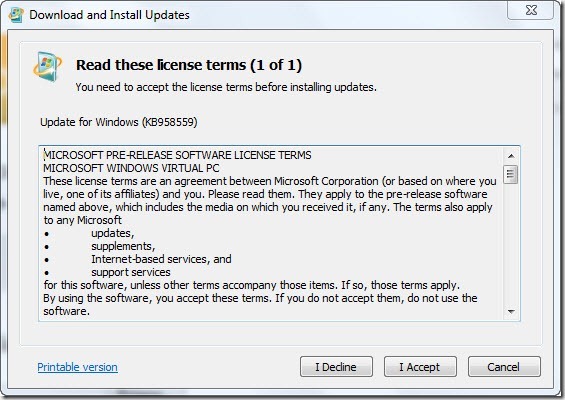 To learn more about the Windows 7 RC, see Frequently asked questions. Windows XP Mode is an optional feature of Windows 7 Professional, Enterprise and Ultimate editions, that helps small businesses upgrade to Windows 7 by providing a virtual Windows XP environment capable of running many legacy Windows XP-compatible business and productivity applications. With this you can now run your old XP applications on Windows 7 just like other applications and now have access to the USB in a virtual environment. 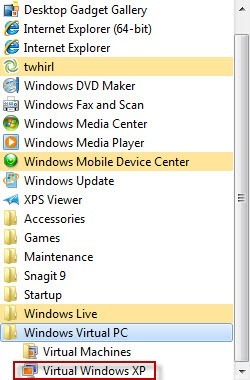 Windows XP Mode (XPM) is a new addition to Wndows 7 RC. At the core of XPM are Virtual PC 7 (VPC) and the Remote Desktop Protocol (RDP) protocol. While VPC’s has a pretty clear purpose, RDP’s are well not so clear. XPM makes heavy use of several RDP features such as Remote Applications Integrated Locally (RAIL), compositing, and multi-monitor support. 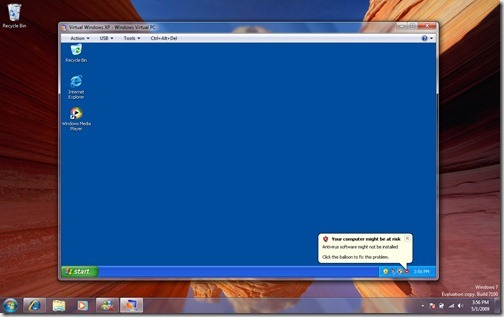 Windows XP Mode can be installed on the three following Windows 7 SKUs: Professional, Enterprise, and Ultimate. Microsoft recommends that customers use Windows XP Mode on a PC with 2GB of memory and 15 GB of additional disk space for Windows XP Mode. In addition, Windows Virtual PC requires a PC with Intel-VT or AMD-V enabled in the CPU, as it takes advantage of the latest advancements in hardware virtualization. 1. 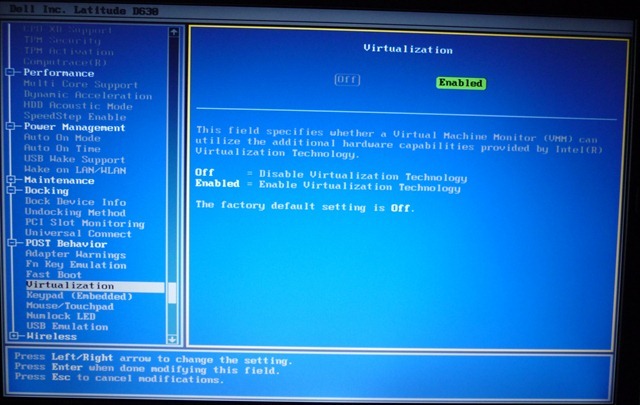 You will need to turn on the settings in your BIOS for hardware-assisted virtualization, which is a simple setting for both Intel VT and AMD-V equipped processors, which is a simple flip from disabled to enabled. If you don’t have this hardware in your computer you will not be able to use XPM. 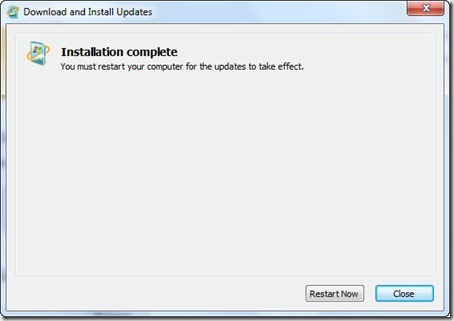 Simply choose to install the update. 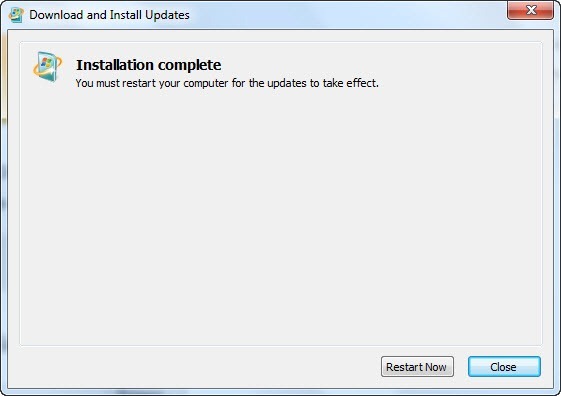 You are now done installing the update and will need to Restart your Computer. 3. 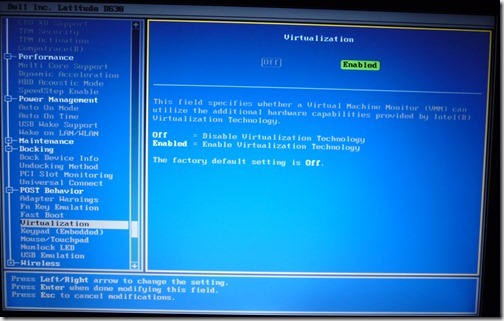 Now you need to setup a virtual machine and download the VHD package(VirtualWindowsXP.msi) for your OS version (64bit or 32bit) and install it. 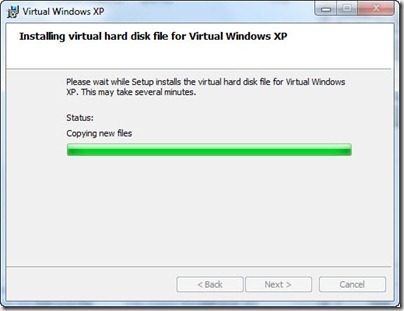 Next you will now start your Virtual PC for the first time. If you don’t have the proper hardware it won’t run and will give you the error shown in the picture above. If you do have the proper hardware make sure it is turned on in the BIOS as mentioned in Step 1. 5. 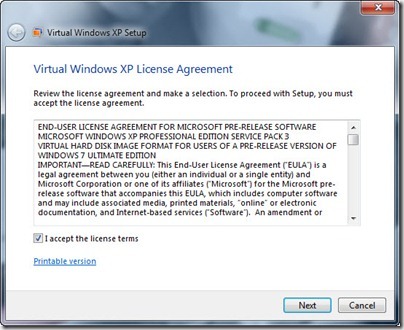 When the virtual machine starts for the first time, the Virtual Windows XP EULA appears. Accept it and click Next to continue. 6. 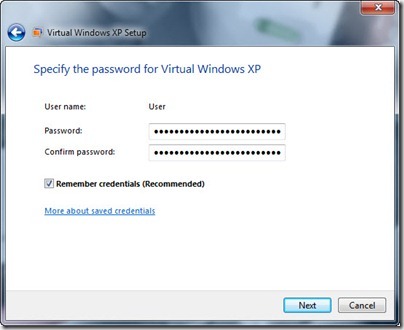 On the next screen, Create a password for the User account. This is a required account with administrator privileges that the wizard creates automatically. It is the default account used to run Windows XP mode. 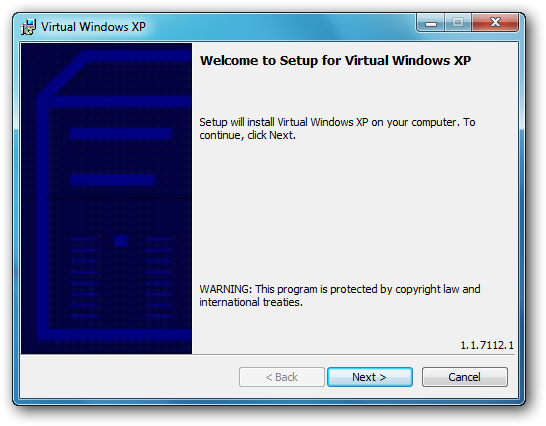 During the setup process you will be prompted how you want to handle window updates for XPM. 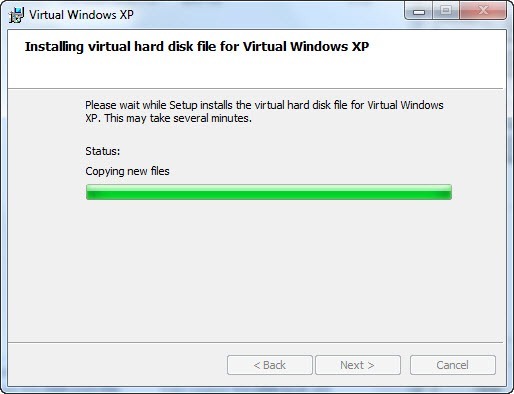 Choose automatic update settings for Virtual Windows XP and proceed next. 7. 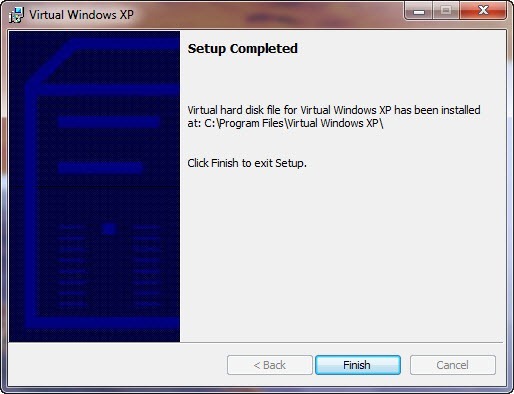 After completion of first time start wizard, Windows XP Mode is ready to use. Windows XP Mode is specifically designed to help small-business users to run their Windows XP applications on their Windows 7 desktop. 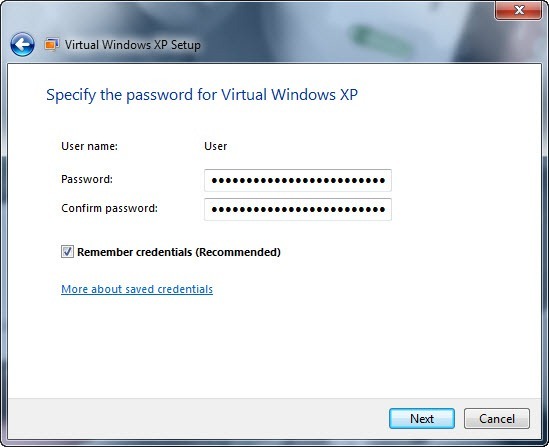 Windows XP Mode is available for Windows 7 Professional, Windows 7 Ultimate and Windows 7 Enterprise customers. 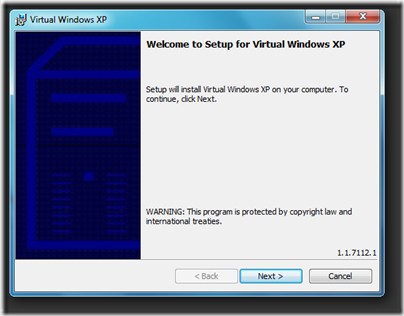 Windows XP Mode combines Windows Virtual PC and a pre-installed virtual Windows XP environment to allow users run many older applications. 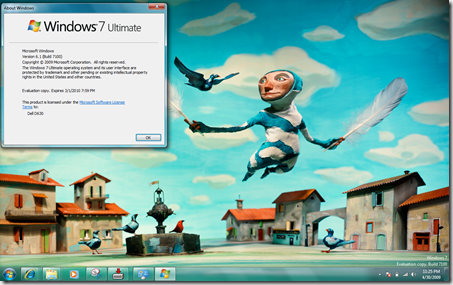 Windows Virtual PC will enable users to launch virtual applications seamlessly from the Windows 7 Start menu. 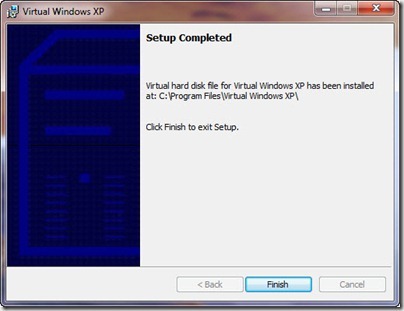 Windows Virtual PC includes support for USB devices and is based on a new core that includes multi-threading support. Microsoft Enterprise Desktop Virtualization (MED-V) is designed for IT Professionals. MED-V enables Virtual PC deployment in larger organizations. MED-V provides centralized management, policy-based provisioning and virtual image delivery to reduce the cost of Virtual PC deployment. MED-V v1 builds on Microsoft Virtual PC 2007 to help enterprises with their upgrade to Windows Vista when applications are not yet compatible. MED-V v2 will add support for Windows 7 (both 32 bit and 64bit) and Windows Virtual PC. MED-V v2 beta will be available within 90 days of Windows 7 GA.
How MED-V adds management to Windows XP Mode and Windows Virtual PC? Run on multiple platforms – MED-V will work on both Windows 7 and Windows Vista. 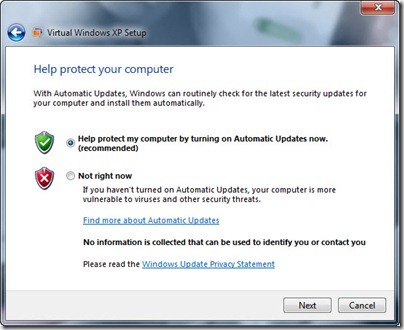 Which customers should use Windows XP Mode standalone? Windows XP Mode standalone is suitable for small and medium business users, who are able to set their XP applications themselves and may or may not have IT Professional staff. Each PC has its own virtual Windows XP environment that is controlled and managed by the end user. Windows XP Mode standalone is not designed for large, centrally managed deployments that have widely deployed business applications that require Windows XP. So in summary MED-V builds on top of Windows Virtual PC and adds important management capabilities. 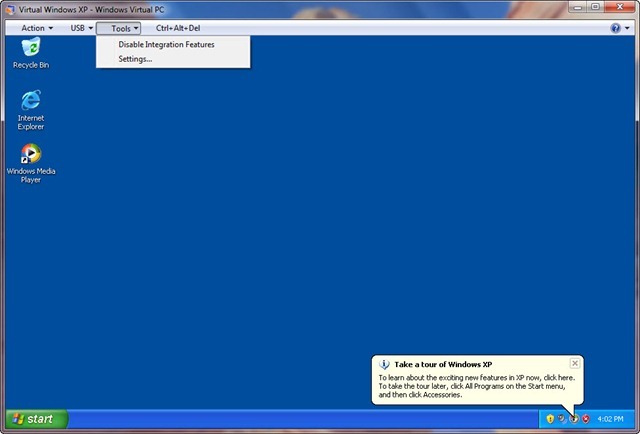 This is a step-by-step for installing Windows 7 via a USB Flash drive for a few people that wrote in and Twittered. For my Netbook and mini laptop that don’t have optical drives I made a bootable USB drive with the 32-bit version of Wndows 7 RC by following the instructions over at TechNet and made it a bit easier for those that had difficulty doing it themselves or weren’t clear on the steps. USB Flash Drive (Minimum 4GB- I use an 8GB/16GB and have the installs of my most used programs ready to go in a separate install directory for me its-Windows Live Essentials, MS Office, Snagit, Camtasia Studio, Mozilla, Adobe Air, Tweetdeck, SlingPlayer,SOTI, Zune, Visual Studio,Paint.NET, etc. 1. First plug-in your USB flash drive and move/backup all the contents from USB drive to another drive on your computer, storage card, etc. This way you can copy it all back later if there is room on your USB flash drive. 2. 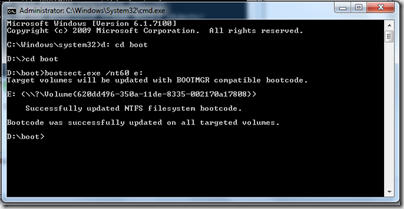 Next open Command Prompt with elevated admin rights. 3. 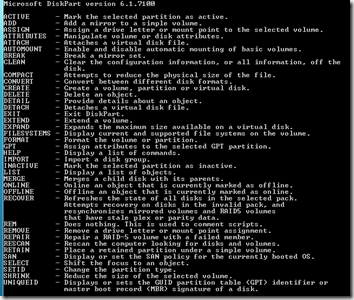 To setup the USB drive type the DISKPART command in the command prompt window. Next type the LIST DISK command and make sure note which Disk number (ie: Disk 1) is your USB flash drive you will need this in the next step. 4. Next type all the below commands one by one. 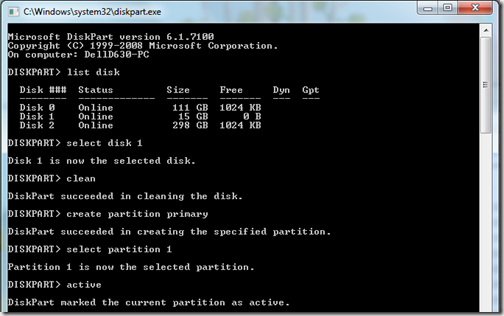 I am using “Disk 1”.If you have Disk 2 as your USB flash drive then use Disk 2.Refer the above step to confirm your USB flash drive, mine is 16GB so I can see it is Disk 1. Now keep the command prompt window open because we will need it for the next steps. 5. Next insert your Windows7/Vista DVD into your optical drive and check the drive letter of your DVD drive in Computer. I will be using “D” as my Optical DVD drive and and the USB drive letter is “E”. D:CD BOOT and hit enter.Where “D” is your Optical drive letter. Where “E” is your target USB drive letter. If yours is different make the appropriate drive letter changes. 8. Next you are going to copy the contents of your Windows 7/Vista DVD to the USB flash drive. 9. Now your USB drive is ready to boot and install Windows 7/Vista. In order to boot from the USB drive may have to enter your BIOS to set it to boot from the USB flash drive, set drive priority, and/or on start up, you may have to choose what device to boot from. This all depends on what BIOS you are running. Microsoft Corp. has reached a significant milestone with the Release Candidate (RC) – Build 7100 of the highly anticipated Windows 7 operating system, now available for download to MSDN and TechNet subscribers. Broader, public availability will begin 5th May 2009, and will be accessible from the Microsoft Windows 7 website. Windows 7 delivers improved management, security, reliability, productivity, and performance and in the RC build things are coming together quite nicely. I have already installed it on 5 different PCs and will be posting up some how to’s and my findings up here over the next couple of days. More than 32,000 participants from approximately 10,000 companies have signed up to have access to a breadth of helpful tools and resources needed to prepare for Windows 7. Partners such as Corel, Cyberlink, Sonic, ATI and NVIDIA have already invested significant time and resources to preparing for Windows 7. Direct Access: This feature enables IT Managers to provide the mobile user with reliable and secure access to the corporate network resources when user is on the Internet, without having to initiate a VPN connection. It also allows servicing and updating of remote PCs, even when they are on the road. This helps to ensure that all mobile PCs are always up to date and Powershell means IT Pros can automate many standard tasks, to help reduce helpdesk costs, minimize user disruption and ease PC management. Direct Access is delivered by Windows 7 with Windows Server 2008 R2. BranchCache: Delivered jointly by Windows 7 and Windows Server 2008 R2, this feature enables IT pros to decrease time branch office users spend waiting to download files from remote servers by caching the previously accessed content locally in a branch’s network. BitLocker and Bitlocker To Go Drive Encryption : This helps ensure that sensitive data is protected across PCs and removable storage devices. Remote Media Streaming: Enables secure, remote Internet access to home-based digital media libraries from another Windows 7 PC outside the home. Windows XP Mode: Utilizing Windows Virtual PC, Windows XP Mode allows small and medium business users of Windows 7 users to run many Windows XP productivity applications, launched right from the Windows 7 desktop. 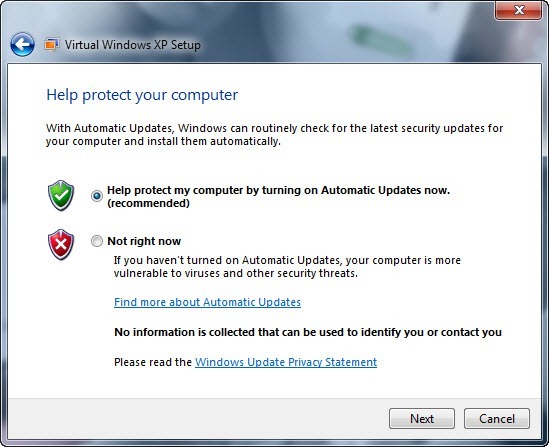 Windows XP Mode will be available to Windows 7 Professional and Windows 7 Ultimate customers via download or, in some cases, preinstalled directly on new PCs. Microsoft is releasing the beta of Windows XP Mode and Windows Virtual PC at the same time as the RC. To learn more about Windows 7 from an IT professional perspective, check out Microsoft’s screencasts as well as our resources on Deployment, Application Compatibility, Security, Imaging, and more—all of which are available through the Springboard Series on TechNet. Please plan ahead for Windows 7 Beta and Windows 7 RC expiration dates. To avoid interruption, you’ll need to rebuild your test machine using a genuine version of Windows 7 before the software expires. Windows will remind you when the expiration process is beginning; two weeks after this notification your PC will begin shutting down every two hours. Windows 7 Beta expires on August 1, 2009, and bi-hourly shutdowns will begin July 1, 2009. Windows 7 RC will expire June 1, 2010, and the bi-hourly shutdowns will begin on March 1, 2010. In both cases, you’ll need to rebuild your test PC to replace the operating system and reinstall all your programs and data. Since Windows 7 RC is not the final release, your PC will gather and send information to Microsoft engineers to help them check the fixes and changes made based on testing of Windows 7 Beta. 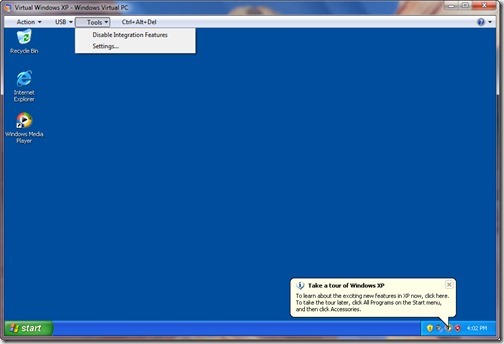 Windows 7 RC requires that you do a clean install. 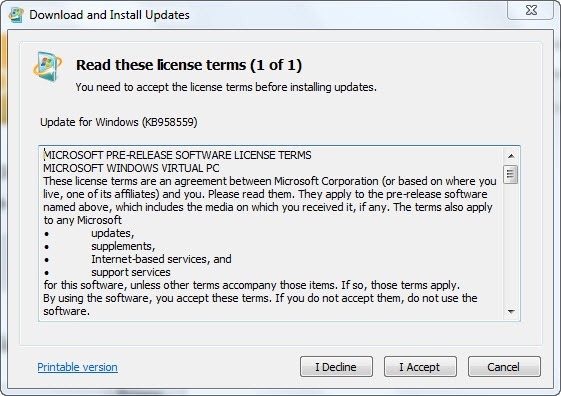 Before installing Windows 7 RC, please read the Release Notes and Things to Know for important information. You can do an upgrade, but MS wants you to do a clean install to help in providing feedback on the RC build and an upgrade may introduce bugs. Keep your PC updated. 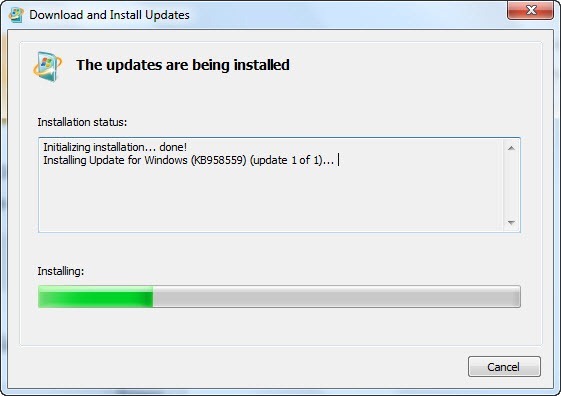 Be sure turn on automatic updates in Windows Update in case we publish updates for Windows 7 RC. 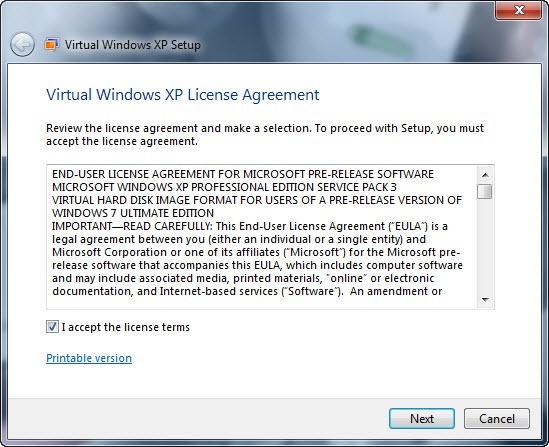 Microsoft doesn’t offer technical support for prerelease software, including Windows 7 RC. If you have problems or questions, we encourage you to visit Microsoft’s online forums, where you can get answers from our Windows Community and Support Professionals. This article, Ink Input and the Tablet PC popped up in my RSS feed from the Engineering Windows 7 blog early this morning. 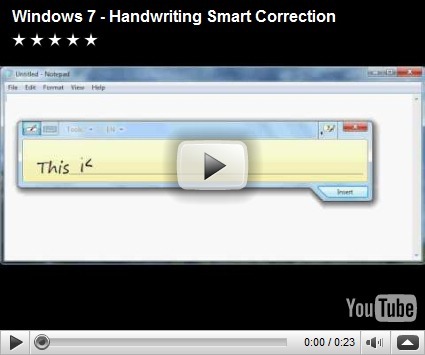 It’s an interesting read on how and what was done to improve inking in Windows 7. I am really liking the new TIP (Tablet PC Input Panel) and things are just more intuitive. The keyboard is much bigger, easier to read and has predictive text output similar to Windows Mobile. It has design improvements for touch based screen like my Fujitsu P1610 and the now defunct Origami group, which has been absorbed under the Windows 7 umbrella to support the growing number of small notebook/netbook PCs. On my old Fujitsu slate at home running Windows 7 is actually easier (and faster) with the new TIP and I notice I don’t have to correct my ink as much as I did with Windows XP and Windows Vista saving time and making it much more useful especially when using the browser. Also the addition of the Math Panel for students and math/science ilk is a great add-on. There’s a strong community of developers who take advantage of the ink input/TabletPC functionality to develop unique solutions for specific markets (medicine, education, line of business) and create software in Windows that builds on this experience to streamline how these end-users interact with information on their PC (usually with unique form-factors such as slates or wall mounted PCs). Earlier this week I received a great email asking “what’s new for us” from the head of development for one such ISV (medical software) and so we put together an overview of the new functionality. Several Program Managers on the team authored this post. Consider being a mobile worker. The challenge for you is connectivity and access. Meanwhile, your IT Pro at the office is worried about balancing those with data protection and network security. With Windows 7, we focused on a few key features to address this scenario, and to build confidence in enterprises trying to get the most out of a mobile workforce. DirectAccess lets mobile workers connect quickly and securely to a corporate network over any Internet connection, without having to manually access their virtual private network. 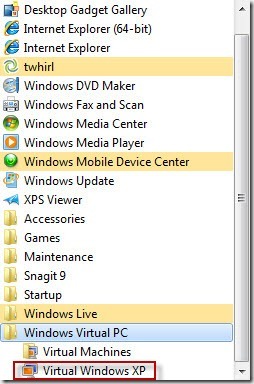 IT can leverage DirectAccess to manage the Group Policy settings and deliver updates to mobile computers, even if the user is not logged on. BitLocker, introduced in Windows Vista, now allows end users to right-click on a drive to quickly enable it, making it more intuitive and easier to use. BitLocker To Go now extends support of BitLocker drive encryption to USB removable storage devices – like our mobile worker’s flash drive (see this Springboard Series Video). Theft and loss of proprietary data from mobile devices is a great expense for businesses. However, the loss of integrity is even harder to recover. The remote worker scenario has similar challenges to the mobile worker, but requires ease of access on a more regular basis. According to a recent study, 91% of employees work away from the corporate headquarters, with the bulk of these working in branch offices. These workers often face difficulties and long wait times accessing information off the corporate drive. With this pain point in mind, we introduced BranchCache, which lets users access information more quickly. For IT Pros, this means the assurance that branch machines maintain the same security protocols as the home office. IT Pros and security experts have daunting missions: they enable secure access to data for mobile, remote and local users; keep systems up to date; and track accessed data– all while attempting to drive new value for the business - it’s enough to cause IT Pro insomnia. As such, we continue to develop a range of security solutions to address evolving IT needs. AppLocker: We received feedback that workers today put software from home on their PCS, download applications from the Internet, and access programs through email. As a result, there’s a higher difficulty ensuring PCs in the enterprise environment are running only approved, licensed software. AppLocker solves this issue; it’s an administered mechanism that allows a business’ security expert to specify what is allowed to run on each user’s PC. Network Access Protection: This allows IT Pros to create solutions to validate computers that connect to their network and limit the access or communication of noncompliant computers. Microsoft Asset Inventory Service: Part of Microsoft Desktop Optimization, complements the OS security and compliance technologies by allowing our IT Pro a comprehensive view of the enterprise desktop software environment. 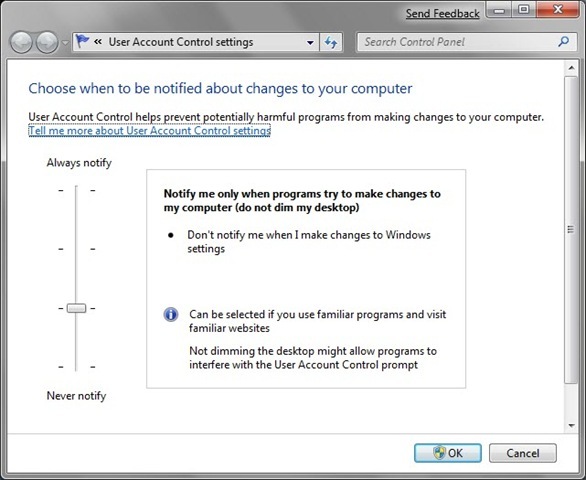 User Account Control: We heard loud and clear that end-users wanted fewer UAC prompts and more control over what items they are prompted for, but we know IT Pros still need control over what’s installed or run on a machine. As a result, in Windows 7, we made specific changes to enhance the user experience, while still ensuring the same level of security. 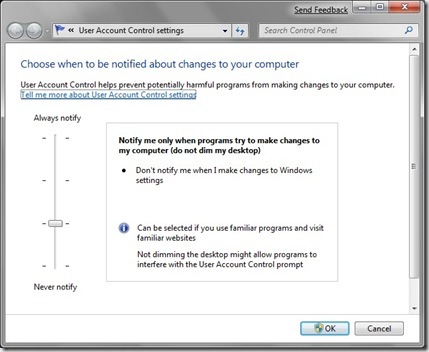 More information about Windows 7 security features are in posts on the Windows Security Blog and the Windows Blog. Microsoft has created a SKU line-up for Windows 7, where each SKU is a superset of the previous SKU. This means that each higher edition SKU will have every feature lower edition SKUs have with a focus on two primary editions of Windows 7: Windows 7 Home Premium and Windows 7 Professional. We will continue to offer a few targeted SKUs for customers with specialized needs: for price-sensitive customers with small notebook PCs, some OEMs will offer Windows 7 Starter. 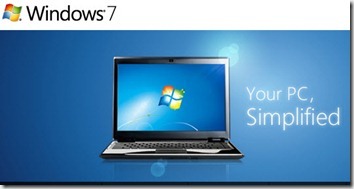 For customers in emerging markets, we will make Windows 7 Home Basic available. Businesses have two recommended choices: Windows 7 Professional and Windows 7 Enterprise. Windows 7 Professional is recommended for small businesses and Windows 7 Enterprise is recommended for mid- and large-sized businesses that have a Software Assurance Agreement with Microsoft. 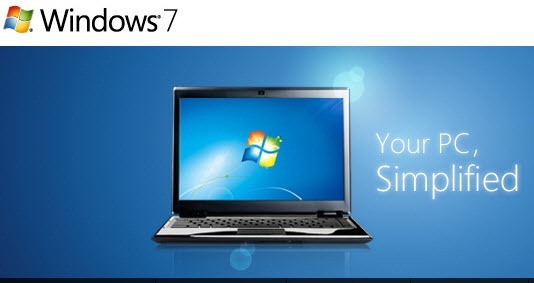 · The SKU lineup for Windows 7 is: Windows® 7 Starter, Windows® 7 Home Basic (in Emerging Markets only), Windows® 7 Home Premium, Windows® 7 Professional, Windows® 7 Enterprise and Windows® 7 Ultimate. · For Consumers, we recommend Windows 7 Home Premium for most customers and Windows 7 Professional for customers who want additional features and functionality useful for small business activities. · For Businesses, we recommend Windows 7 Professional for most customers and Windows 7 Enterprise for medium-to-large business and enterprise customers that choose to license Windows through Software Assurance. Note: Ultimate includes all Enterprise and all Home Premium features, including multi-language packs. 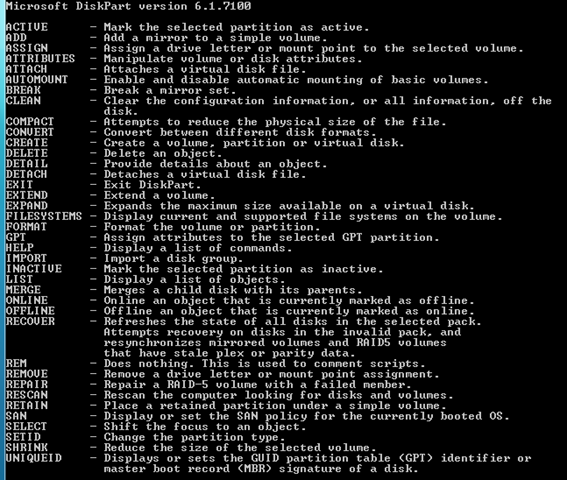 More information on deploying Windows 7 can be found here.